Ever since the first rumors about Apple's Project Titan began circulating we've had a rough idea that the iPhone maker was moving into the driverless car space, and now Apple CEO Tim Cook has clarified the company's position: Apple is working on self-driving cars, but that doesn't necessarily mean an Apple-branded wheel, chassis and windscreen. Instead, the Apple head honcho pointed to a focus on 'autonomous systems', suggesting the company is more interested in building the AI brains to go into driverless cars than the mechanical components of the vehicles themselves. “It’s a core technology that we view as very important,” he said in an interview with Bloomberg Television. "We sort of see it as the mother of all AI projects [...] It’s probably one of the most difficult AI projects actually to work on." 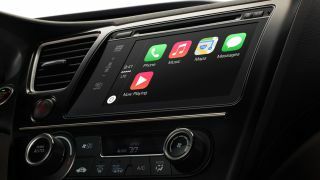 While Cook stopped short of giving the precise details of the project away ("We’re not really saying from a product point of view what we will do," he stated), he did point to the converging elements of the automotive industry that he saw as fuelling Apple's ambitions. Those three vectors? Electric vehicles, ridesharing/hailing, and self-driving technologies. Cook has confirmed interest in the self-driving space then, and Apple has already invested in the ride hailing market, putting $1 billion into China's Didi Chuxing service, the country's answer to Uber. Vans sporting Apple's logo have also been spotted in Silicon Valley, potentially collecting data for a revamped Apple Maps project to support the cars. It seems then that it's the electric car manufacturing area where Apple may have got cold feet in terms of building its own vehicles – reports suggest that Project Titan's exponentially-rising costs and workforce encouraged Apple to change tack, with Apple's Bob Mansfield leading the team from 2016 and seemingly steering it onto its current course. Not that we should rule out an Apple-branded car entirely. But as with all things Apple, it won't dive in until the time is truly right.